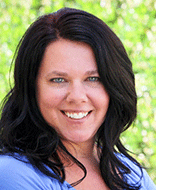 Kristin Weber is a Licensed Massage Therapist practicing in Corvallis, Oregon. She was trained at Lane Community College in Eugene, Oregon, graduating from the Massage Therapy program and obtaining her license in 2007. She worked as a Licensed Massage Therapist and Certified Chiropractic Assistant at Healthletics Chiropractic Clinic in Corvallis until 2013, when she left to open her own massage practice—Simple Touch Therapeutic Massage. I truly believe the world would be a much better and happier place if everyone could receive regular massage therapy. It does a body good! I love my work—the opportunity to help people feel better and improve the quality of their lives is so rewarding. The human body and how it works has always fascinated me, but I chose massage therapy as a career after experiencing firsthand how it drastically improved my health and wellness. I love to solve the puzzle of what’s going on in someone’s body—why he or she may be experiencing pain or restriction of movement, where it’s coming from, and how to help that body heal itself, feel better, and move more freely. Kristin was born and raised in Wisconsin. After spending time traveling and living on the East Coast and in the Southwest, she finally found her home in the Pacific Northwest. August 2013 is her tenth year in Corvallis, and she loves it. It has truly proved to be a wonderful place to call home and a lovely community in which to raise her son. Kristin’s hobbies and interests include hiking, dancing, reading, backyard barbecues with friends and family, and heading to Pacific City for a day at the coast. Contact Kristin for more information or an appointment.